Coal isn't dead. 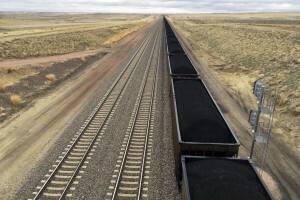 U.S. coal production is projected to stay constant for three decades. Coal remains the biggest source of fuel for generating electricity in the U.S. with future demand driven by China. Demand is being stoked by the rise of power-hungry middle classes in emerging economies, led by China and India. By the end of this decade, coal is expected to surpass oil as the world's dominant fuel source, according to a recent study by consultant Wood Mackenzie. Will World Join U.S. in Cutting Emissions?